Opatija’s rich history and picturesque surroundings should not be missed. So when in Opatija, take a break from the beach and go sightseeing. Renaissance, Venetian, Gothic, ornate Secession, playful Baroque, Classicism, Alpine Baroque… Buildings of completely different styles have been erected in this popular tourist resort throughout history. Discover for yourself why Opatija has been one of the most popular destinations for sightseeing in Croatia since the 19th century when the Habsburgs turned it into one of Europe’s most popular destinations where nobles and aristocrats enjoyed in moments of peace and quiet far from their courts and daily politics. Villa Angiolina, a real Biedermayer beauty, soon became an important part of social life. In 1873 the railroad connected Opatija with Ljubljana and beyond, and in 1889 the town was established as a health resort. First hotels such as Kvarner (the first hotel in the Adriatic), Imperial and Palace-Bellevue were built to accommodate the fancy new tourists. It is impossible to list all the names of the famous guests. However, we must not omit Friedrich Schüller, the General Director of the Southern Railroad from Vienna and the initiator of the tourist development of the city, and Dr. Julius Glax and Theodor Billroth who deserve thanks for assisting in the development of health tourism. Others included numerous members of European high society such as Croatian governor Josip Jelačić, the archduke Ferdinand, empress Maria Anna, Austrian heirs Stephanie and Rudolph, Austrian emperor Franz Joseph, German emperor Wilhelm, Swedish-Norwegian King Oscar II, Romanian royal couple Karol and Elizabeta, composers Gustav Mahler and Giovanni Puccini, author James Joyce, Nobel prize winner Henryk Sienkiewicz, Russian novelist Anton Pavlovich Chekhov, and popular dancer Isadora Duncan who found inspiration for her dance moves from Opatija’s palm trees. These are only some of the names which visited Opatija and together with them came the new age in history of Croatian tourism. From the mid-1880s to the start of World War I, Opatija was the place to be seen at. Today, after two subsequent wars, Opatija is still popular with European tourists who flock to the resort all year long. Numerous monuments have enriched the town’s culture. The tales of romantic anguish, intrigue, scheming, political games and artists seeking inspiration hide in every corner of the Opatija Riviera, and now you also have an opportunity to become a part of these tales. 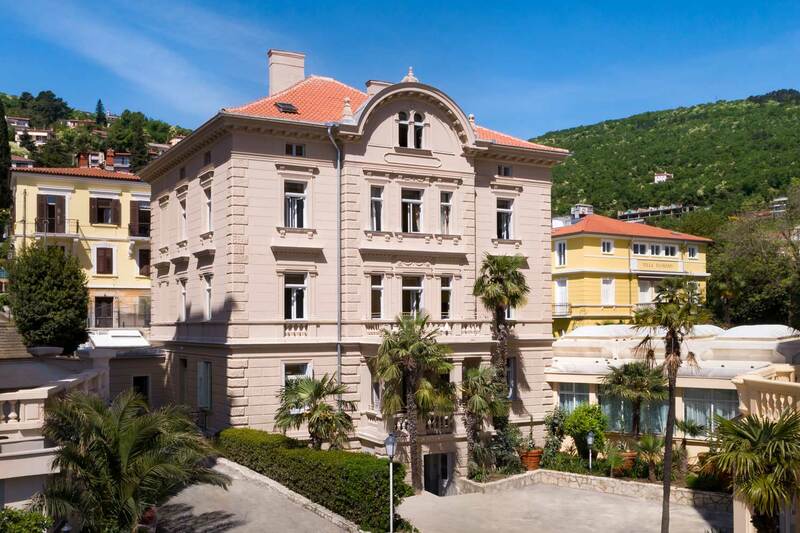 Book a room in one of the many historic hotels in Opatija and go on a date with history.